Have you decided to visit Rhodes on your next vacation, or maybe you really liked a previous visit to Rhodes and want to come to a nearby destination for your next trip? Regardless of your situation, if you are looking for some of the other islands that are worth visiting near Rhodes we have a list for you to read below. Some are perfect for day trips and others may be worth a night or two stay themselves – we’ll give you all the information you need. Rhodes is the largest island in the Dodecanese island complex and is renowned for being the sunniest part of Greece, tucked in the glorious, turquoise Aegean Sea. There are twelve main islands that sit in this sunny south-eastern corner, as well as numerous smaller islands which are equally as stunning, but we start our list with Symi. 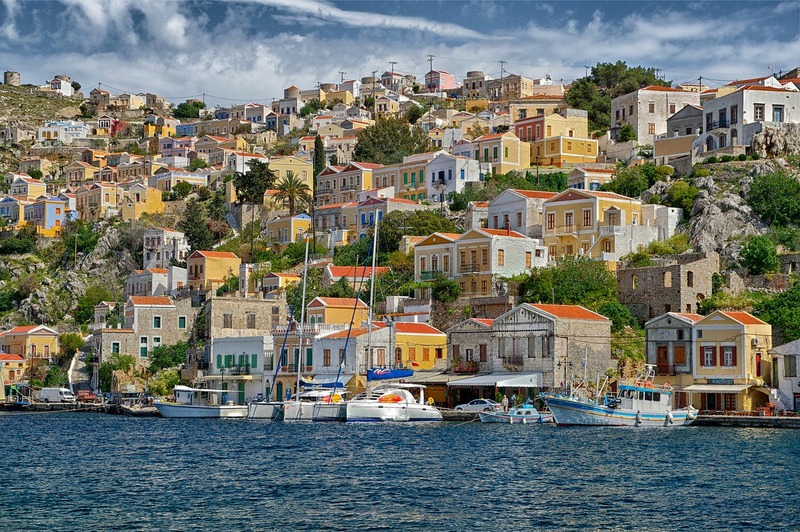 For many, simply seeing the neoclassical and bright houses that line the harbour in Symi are worth the trip alone. The architecture is renowned on this island, particularly the Monastery of Archangel Michael Panormitis which also gives you access to a stunning Byzantine Museum. But monuments and religious sites are not all Symi is famous for. There is an annual music festival and musical events in general are common here. 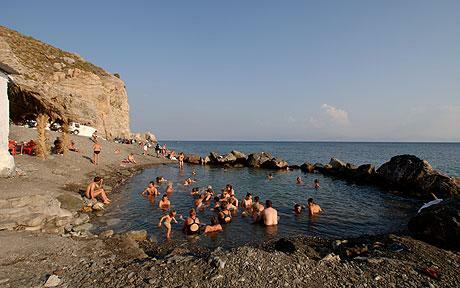 You will also find stunning bays and beaches if you do wish to kick back and spend some time here. The island is easy to reach and thanks to the Dodecanese ferries, which link all of the Dodecanese islands together, trips are regular and easy to organise. For many of the ferries that go to Symi, the next stop is Kos, so it makes sense to discuss this island next. Rich in Roman and Greek combined history and landmarks, the town is an exciting place to explore, including 15th century castles, ruins, shrines and temples. Keep an eye out for mosaics and frescoes that are truly unique to this island. Also a popular tourist hotspot are the incredibly picturesque and sandy beaches on Kos, including Psalidi beach which is perfect for those seeking thrills, including windsurfing and kitesurfing. Meanwhile, the luxurious Therma beach has thermal springs and was named one of the Best Beaches in the Dodecanese Islands by The Telegraph. The next stop on the Dodecanese Island connector ferry is Kalymnos. The best part about this island is due to it being that bit further, it is less touristy and provides that more peaceful and untouched vibe a lot of people want to see when visiting the naturally stunning islands in the Aegean Sea. With this in mind, there’s a lot of nature discovery to do here. 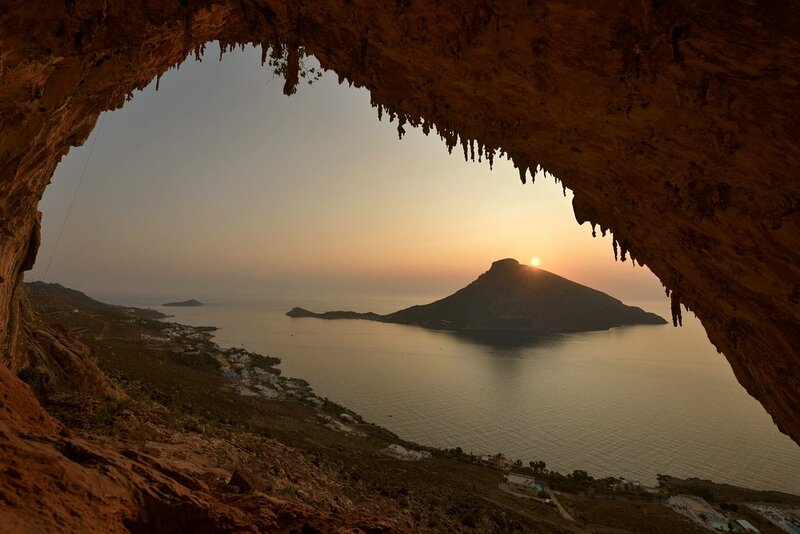 From caves, grottos and caverns to diving or climbing experiences – you will find plenty of spots to get the perfect photo and absorb some of the most amazing views in the south east Aegean Sea. Platis Yialos Beach is a gorgeous beach and if you want to enjoy some of the stunning geologic formations on the island, head to Grande Grotta (pictured) which brings amazing views of the island of Telendos. Want to experience rural Greek life? 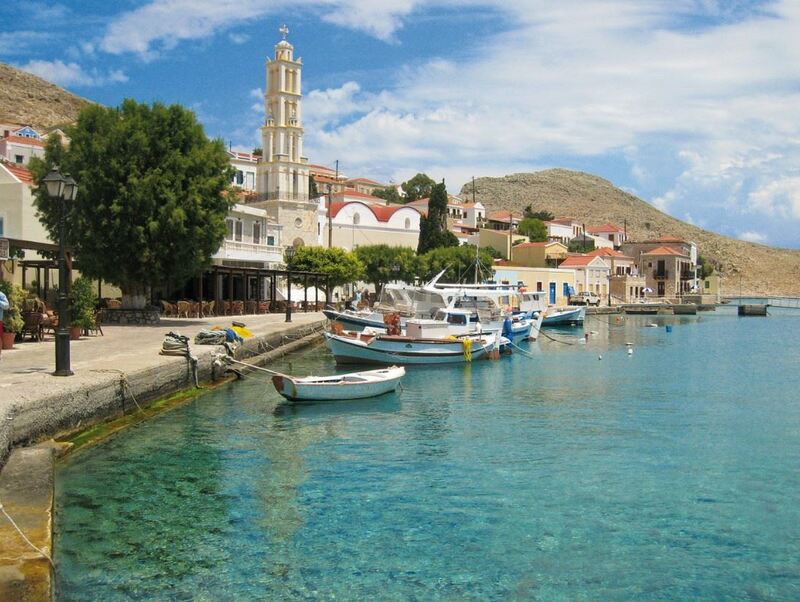 Head to Halki, the smallest inhabited island in the complex of the Dodecanese islands. It has a permanent population of roughly 330, most of whom live in the village named Emborio. While this is a great spot for those who seek peace and privacy, it is also incredibly close to Rhodes making it the perfect day trip if you want to get away from tourists and recharge your batteries. There’s still plenty to do here, including beaches, most of which are secluded and private. The island also houses ruins, castles and monuments as well as plenty of history to uncover. 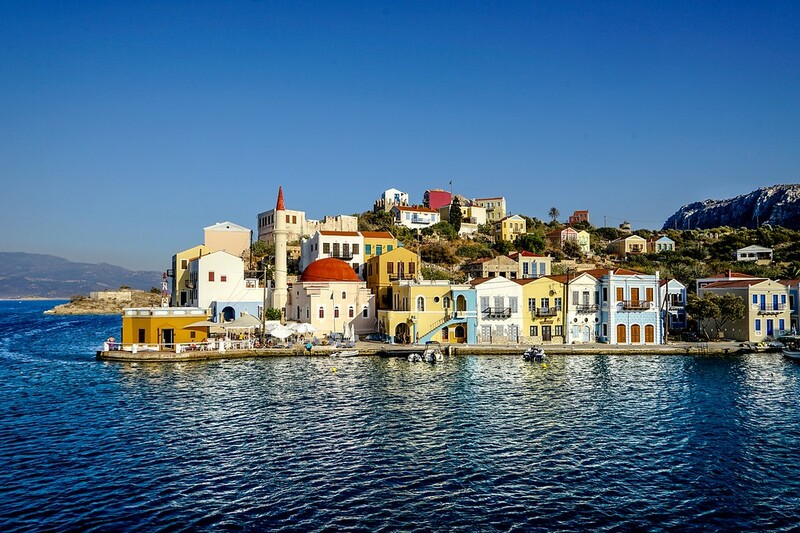 The sleepy and quiet island of Kastellorizo is also known as Megisti, which means largest – despite this being one of the smaller Dodecanese islands. Similar to Halki, this is a great location to visit if you want to escape tourists and see how the locals live their day to day life. Another great location with plenty to do, but at a different pace to what Rhodes has to offer. Highlighting once more, why day trips to islands like this are so popular.